Marine Place is a landmark development conceived and built by Acorn Property Group. 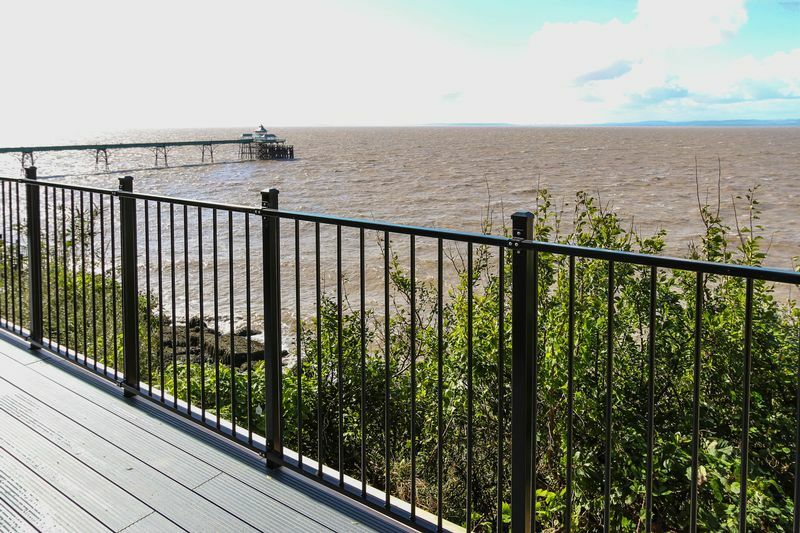 This beautiful home hugs the coast with a balcony and terrace that reaches out to sea which enjoy spectacular views of our fabulous Grade I listed Pier and down the coast to the Quantocks. The famous sunsets that hang over the bay have caught the attention of some of our country’s greatest poets and will no doubt seduce you too. 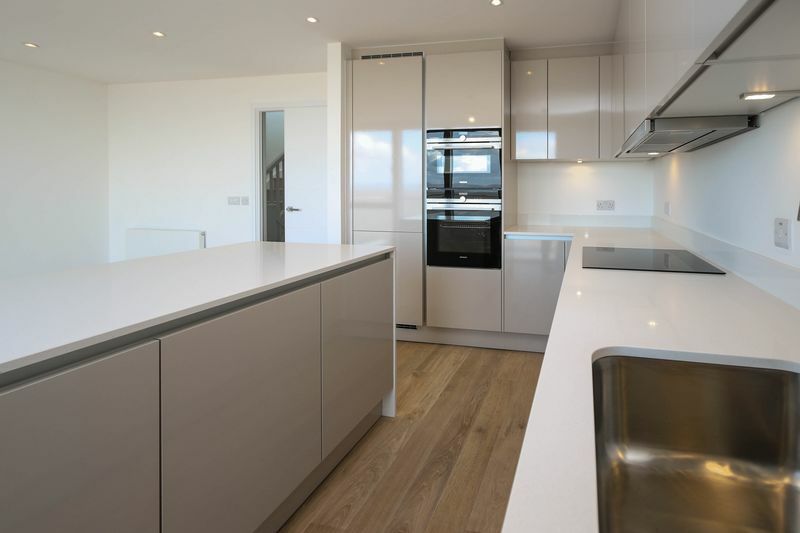 The architecture and high specification of Marine Place would grace the cover pages of any Grand Designs magazine. 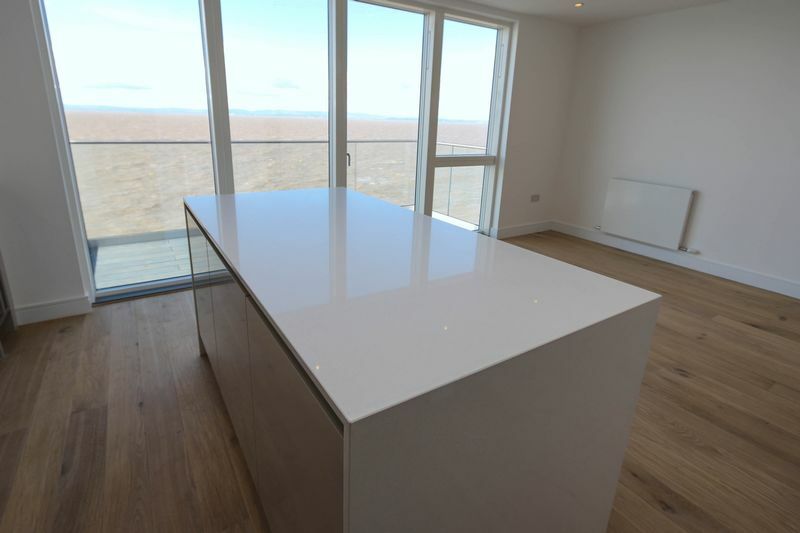 The finish and attention to detail is breath-taking, and by the way so are the views. 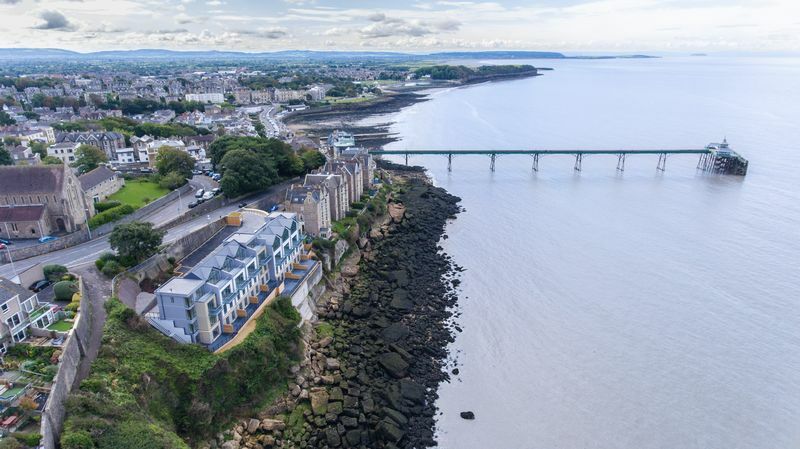 The accommodation flows effortlessly, is flooded with natural light giving a sense of space and modernity and has an amazing connection with the coastal surroundings. Which also incorporates the central heating, water cylinders, electric and gas meters. This room also has an external door for easy access. With WC and washbasin. Sumptuous floor tiling. 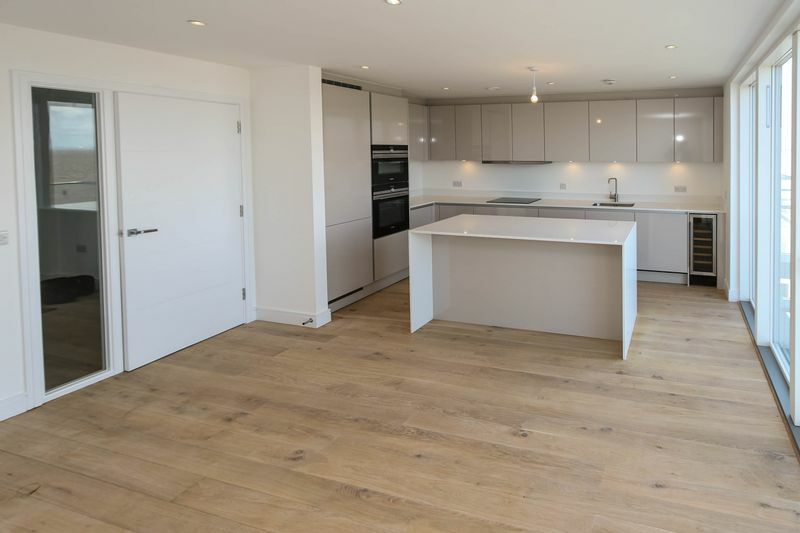 Offering the most incredible light and space with a beautifully appointed kitchen with silestone worktops and Siemens appliances. 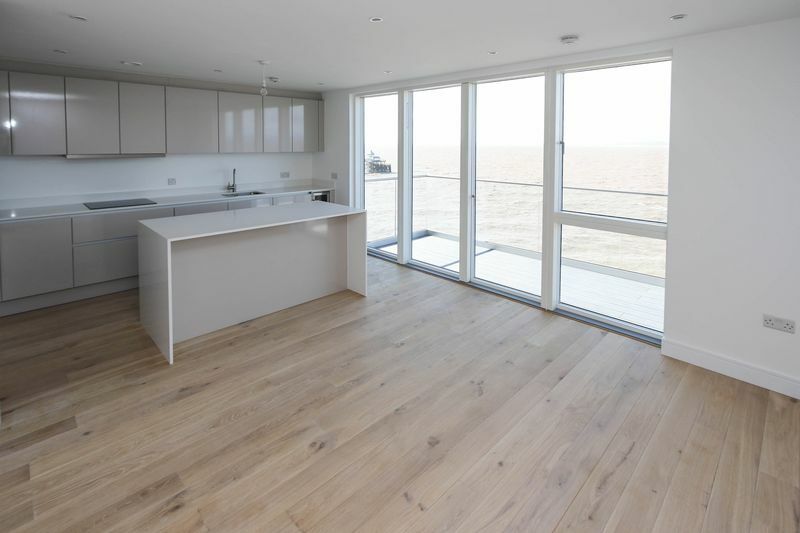 The engineered oak flooring contrasts with the white walls. 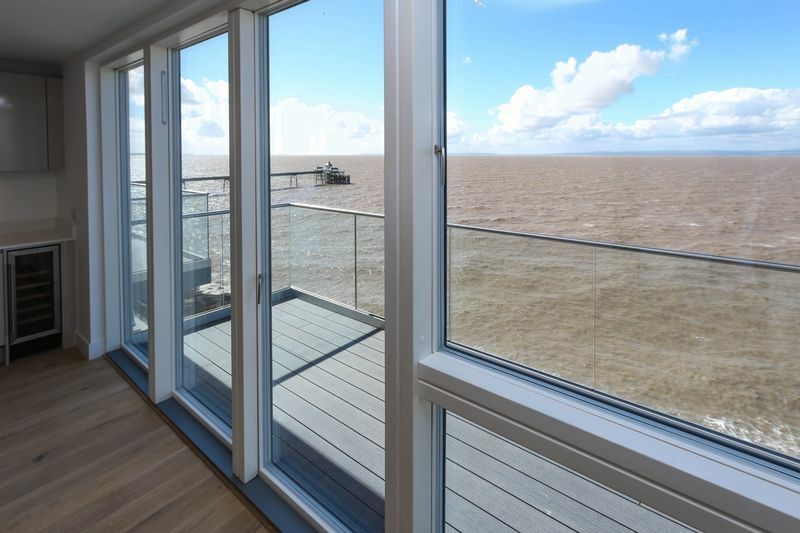 There is almost a full length run of glass windows and doors which open out onto the balcony. 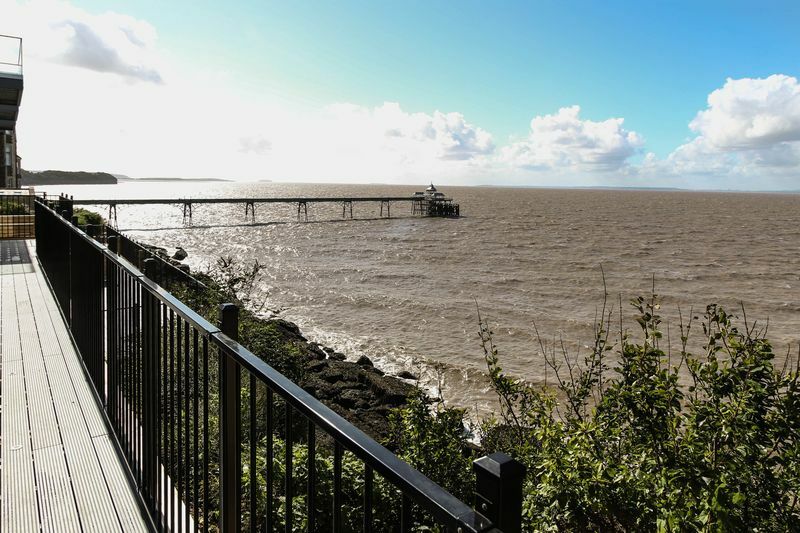 From here there are the most enchanting views across the bay to Wales, Clevedon's famous Grade I Listed Pier and further south towards the islands of Flatholm and Steepholm and the Quantock hills beyond. 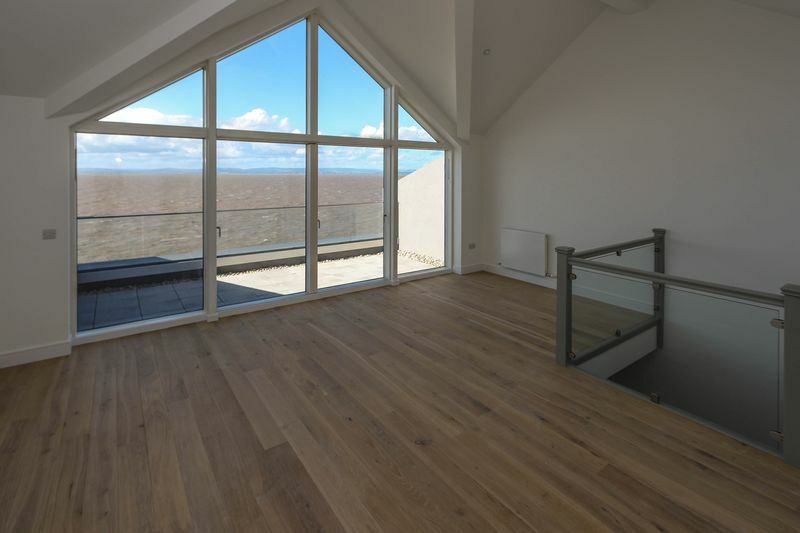 This living room enjoys amazing high vaulted ceilings and with dual aspect views from a Juliet balcony on one side and with lots of glass sea facing glazed with large doors opening out onto the roof terrace. 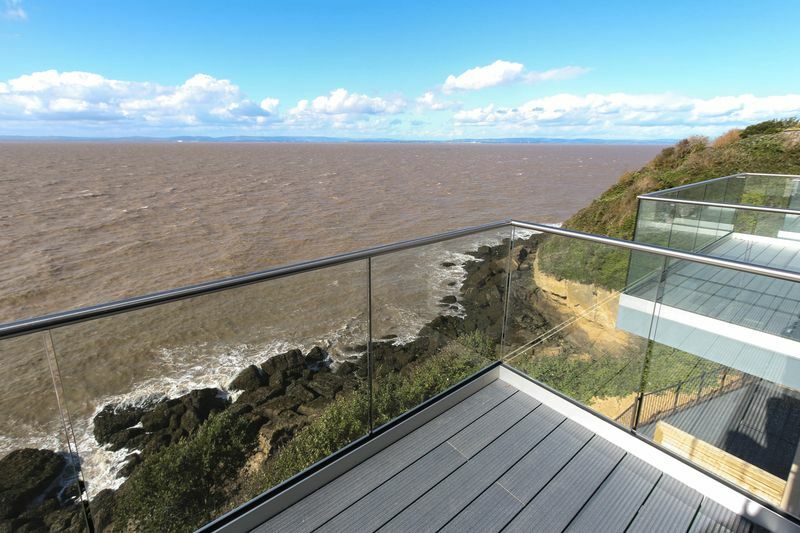 This is quite a magical space with uninterrupted views across the bay. With walk in shower, WC and washbasin. Sumptuous tiling, chrome ladder style radiator. With bath with shower above and glass shower screen, WC and washbasin, elegant choice of tiles. With plumbing for the washing machine and a useful counter worktop with cupboards above. 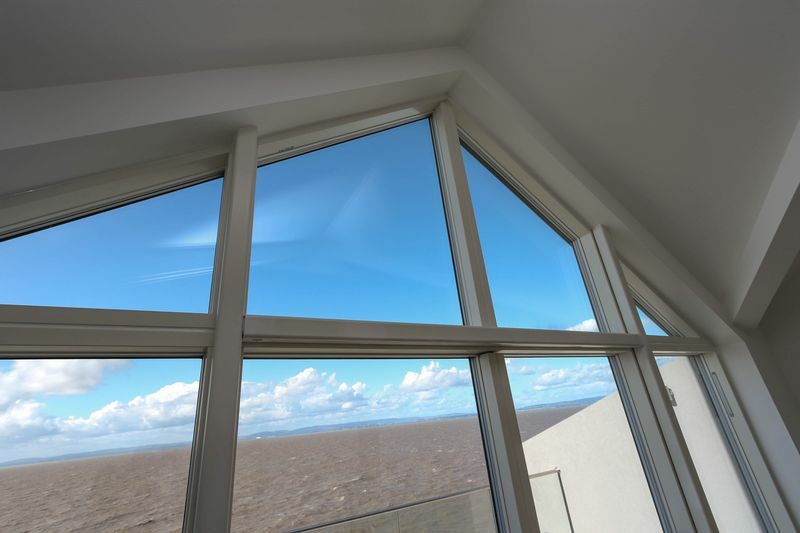 With a large window looking out across the terrace to the bay. Or if you prefer second living room with doors opening directly out onto the main terrace, a great area to entertain your friends and from which to enjoy the privileges of such a location. With bath incorporating a shower above and glass shower screen. Washbasin and WC. Chrome ladder style radiator, luxurious tiling to the walls and floor. There is parking for two cars to the front whilst there are two wonderful terraces and a balcony which look towards the sea. Rent per calendar month: £2,000.